Long before there was OCR or Spartan Race, there was Adventure Racing. It’s not surprising that with the popularity of obstacle course racing that Adventure Racing has made resurgence. 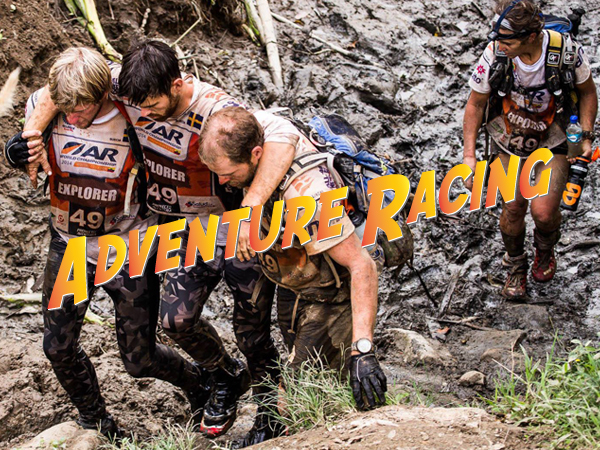 Adventure Racing is a serious test of endurance, a team competition strewn over the toughest terrain the world has to offer. Up to six days and hundreds of miles, unsupported, no GPS allowed, only map, compass and the wit of the teams trusted navigator. In this episode, Richard Diaz interviews Erik Nachtrieb one of the executive producers of the AR World Series. Erik explains what it takes to meet the challenges of arguably one of the toughest physical challenges in sport. If you love to race OCR, grab a cup of coffee, you’re going to love this! Follow the Adventure Racing World Championships Live at http://www.arworldseries.com For adventure racing video and training from the ARWS head over to http://www.youtube.com/arworldseries. Great to hear Erik talk about the awesome world that is adventure racing. For those who are now fired up to try an adventure race, I recommend heading to http://www.adventureracehub.com, as it contains the full list of adventure races in North America. Not that we don’t all want to go on massive excursions to other countries, but if you’re looking for a local race, this is the easiest way to find it.